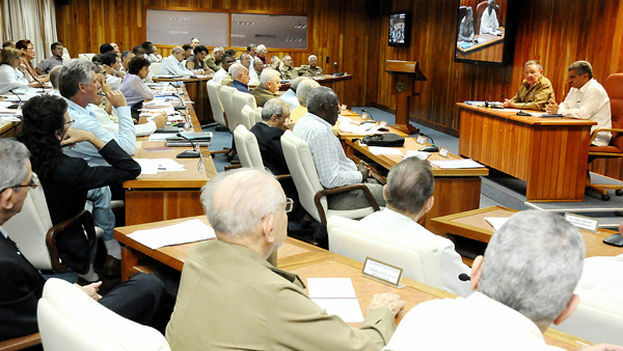 14ymedio, Havana, 30 June 2017 — The latest Council of Ministers, chaired by Raul Castro, has extended the term of the country’s land leases under the usufruct system to 20 years, but the leases can be cancelled if the beneficiaries use illicit funds, according to an announcement today in the official press. The meeting analyzed the economic performance of the first half of 2017 and included the announcement of new measures “to improve self-employment” and the decision to consolidate the experiment of non-agricultural cooperatives. If the authorities detect that the person leasing the land has used illicit financing, it may cancel the usufruct agreement, a move that could be an answer to the recent announcements of Donald Trump’s administration to support local entrepreneurs to the detriment of state- or military-owned and operated businesses. As of September 2016, 4.7 million acres of land had been delivered in usufruct, representing 31% of the country’s agricultural area. Starting now, the taxes provided in the Tax Law concerning the use, possession and idleness of the land, will gradually begin to be applied. The measures to “improve self-employment,” which were not explained to the press, will be aimed at increasing control over entrepreneurs. There was no report of any decisions made about the longed-for wholesale market, the ability to import, or an increase in authorized occupations. However, concerns were expressed about “the use of raw materials, materials and equipment of illicit origin” in the private sector, in addition to “breaches of tax obligations and underreporting of income,” among other irregularities. However, the Government recognized that this type of management structure, authorized three years ago, “constitutes an alternative that frees the State from the administration of economic activities, production and services that are not considered primary,” which will continue to be treated as “an experiment” going forward.